Want the ultimate Torn & Restored Card? Want it to be signed by the spectator across the whole face? Want a piece by piece restoration? Want to end completely clean? 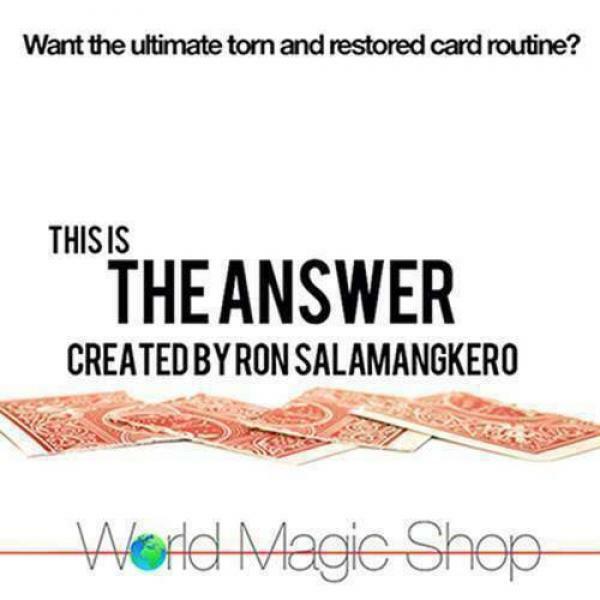 A totally brand new method created by Ron Salamangkero. "The last restoration will take your breath away!"